UPDATE: Per a media briefing for the Jan. 20 Auburn City Council meeting, the permanent tiger paw is a definite go. There has been a tiger paw painted in the middle of the street at Toomer’s Corner first for nigh on 25 years. (I’ll soon be tackling the awesome back story of how it got there.) Each year, Auburn SGA crews add fresh coats of paint to the paw, as well as another identical paw on Donahue Drive. But next year their work may be cut in half. Because another still purely conceptual, but technically on the table possibility for Toomer’s 2.0? A permanent tiger paw, rather than the painted (and repainted and repainted) paw. According to David D. Dorton, Director of Public Affairs for the City of Auburn, the permanent design (which would be formed by the color of the brick pavers) would be part of the stamped concreted in the intersection of College Street and Magnolia Avenue, which will likely be elevated next year. Will it make it into Toomer’s 2.o? Who knows… but there definitely seems to be fewer for the perma-paw than the Auburn Arch. 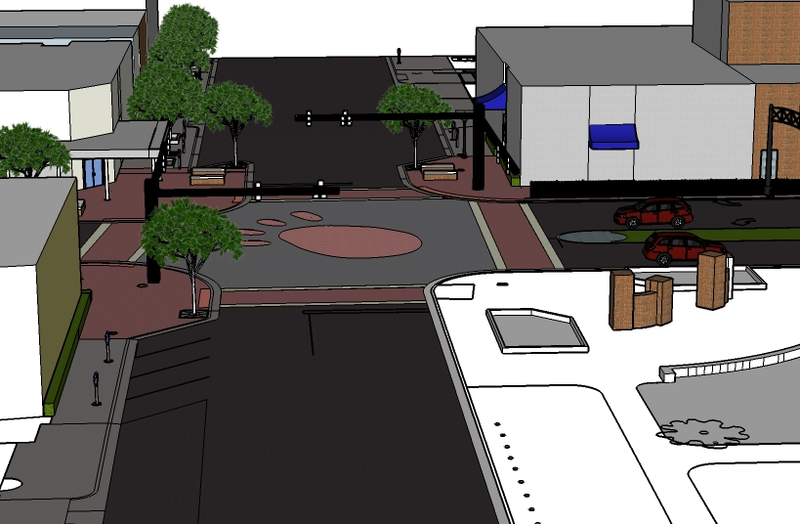 Related: Auburn’s assistant city manager says expecting an arch at Toomer’s Corner in 2015 is ‘premature’. I’ve been reading a lot lately about next-gen, solar-powered street tiles. 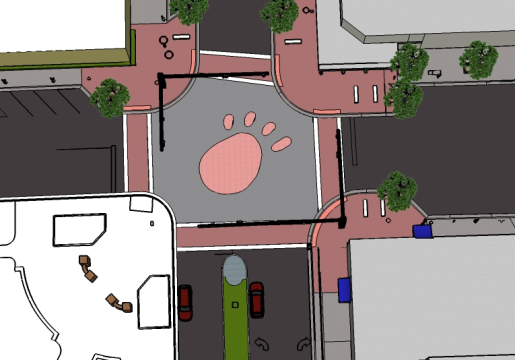 Who would we have to petition to have the permanent tiger paw made of those?